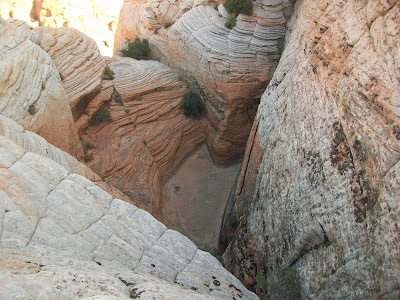 After reading about a mysterious 70 foot deep tank on top of the cliffs overlooking Snow Canyon I decided it was something I would like to see. 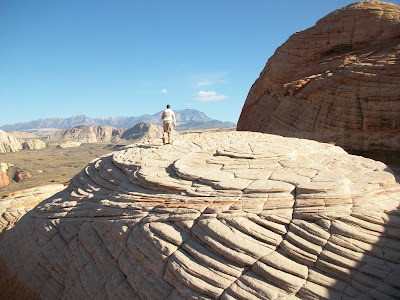 Something like that in the middle of a desert filled only by rain water would be extremely rare and impressive. Ryan Jensen and I set out to find this mysterious well. 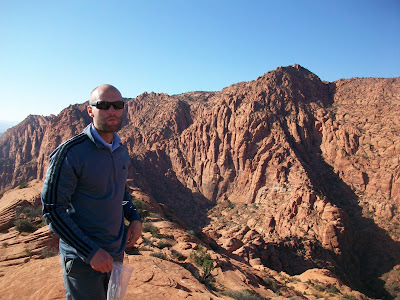 The day was beautiful as we started to hike on the three ponds trail in Snow Canyon. 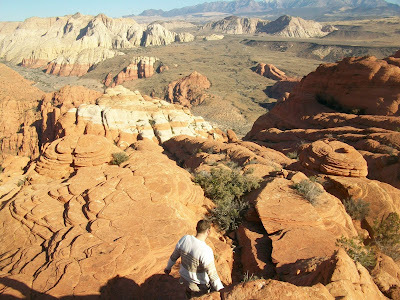 After about a mile and walking next to several hundred feet high vertical cliffs we split off the trail and began an ascent up a ridge of slickrock. Later we would discover this would be the only safe way down as well. 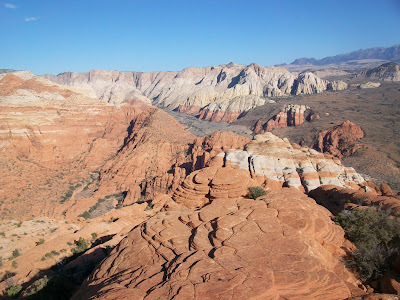 After a long ascent we found ourselves on top of the cliffs overlooking much of snow canyon. 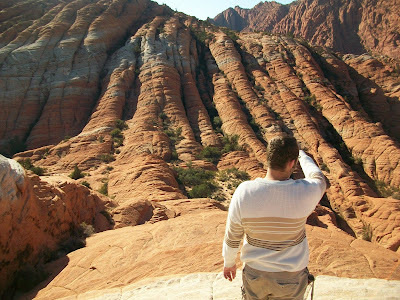 The vistas were very amazing. The solitude of the place was something that I needed to recharge my internal batteries. 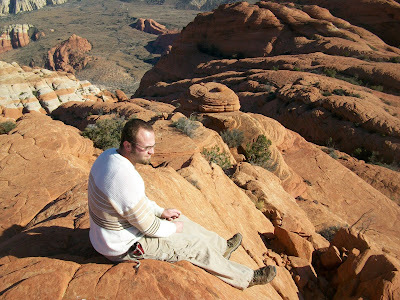 We did not see any other person on top of the cliffs, nor any evidence of anyone being up there for some time. After sitting and enjoying the views and a brief moment of contemplation we descended from the peak to find the "devil's well." We found where the water had been but unfortunately it was no longer full. 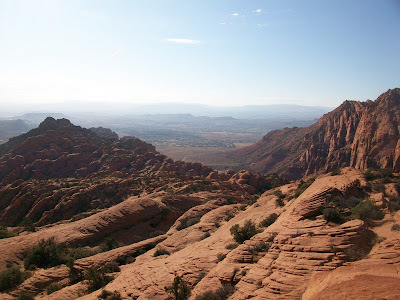 I am not sure if the author of my source hiked there before the current decade long drought or maybe it fills with spring rains, but there was only mud at the bottom of a very deep hole in the slickrock. No-he is an old mission buddy. His parents live in St. Gorgeous and he was in the area for thanksgiving.